Bible Club Ministry Blog: Why Bible Clubs? God loves his children. He commanded parents to "train up a child in the way he should go" (Proverbs 22:6). 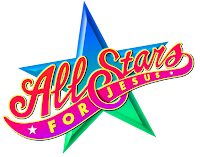 All-Stars for Jesus Bible Clubs are designed to help churches and parents teach children to know God, to believe in Jesus as their Savior, and to live for Him. Researchers say that 43% of people who are Christians accepted Christ as Savior before the age of 13! We want to help you reach that 43%...and more! Bible- and curriculum-based, rather than activity-based. Bible-centered—every activity helps kids focus on God's Word. The All-Stars for Jesus Bible Club program is designed to lead children from age 2 through sixth grade to a personal faith in Jesus, to teach them about God's love and care, to encourage them to grow spiritually, and to give them a solid biblical foundation for their lives. We want each child to know that he or she is a star in Jesus' eyes, no matter what the child's skills and abilities are. Jesus loves children just as they are. All-Stars for Jesus Bible Clubs help children to feel loved and accepted. All-Stars for Jeus offers not only five age-level programs for children age 2 through grade 6, but also the All-Stars Explorers program for grades 1 through 6 in one classroom for smaller Bible clubs. There is no requirement that you use all available materials—just choose the options that will work with your group and your finances. Does all this sound like something you would like for your church? Visit eChurchDepot.com and order your Starter Kits for a risk-free review! 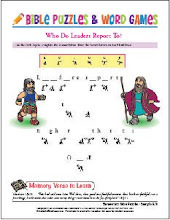 Or order a FREE Lesson Sampler to review with your church.